Pinch harmonics are a very popular guitar playing technique. It’s mostly associated with electric guitar players such as Zakk Wylde and Billy Gibbons. Pinch harmonics are very common in metal music but are also very powerful to add dynamics and feel to any genre of music. It’s a must know technic for any guitar player wanting to take their playing further. Unlike natural harmonics, pinch harmonics are created by the picking hand. They happen when you are “cutting” or silencing a part of the string vibrations by creating a node. This changes the sound because you are canceling the fundamental frequency of the string. To test this, you can simply pick a note and apply a small pressure anywhere on the string so that it doesn’t completely stop the vibrations. This creates a node. If you want to learn more about this check out this great article. How to Play Pinch Harmonics? To achieve this technique, the picking hand does all the work. You must first start with a proper pick placement. 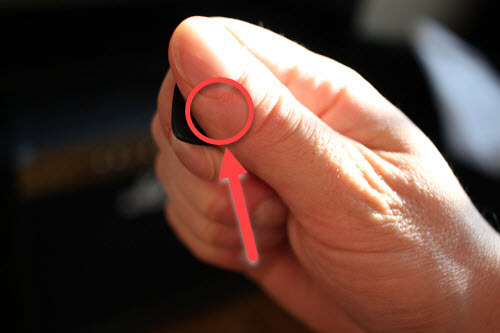 The guitar pick should be held in a way that let’s the flesh on the thumb touch the string slightly. It helps to give a small “twist” when picking the string. You can also slightly change the angle of the pick. 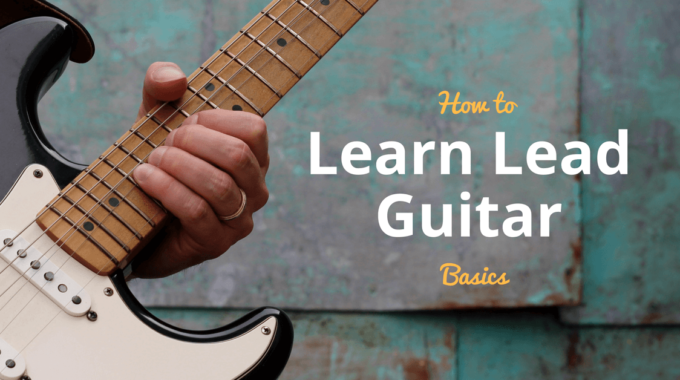 To get better at this simply fret a note and focus on your right-hand movements. Here’s how you can hold the pick and where the string should touch the thumb. When moving up and down the string with the picking hand, you are changing where you create the node. This alters the pitch of the harmonic. You should practice this to get more control of your sound. 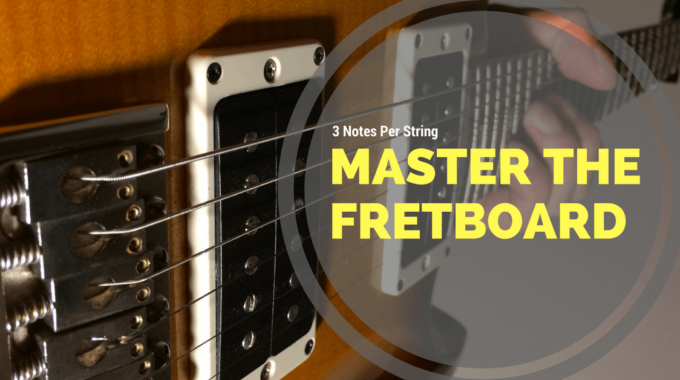 Also, some notes require more precision depending on the string and where the note is on the fretboard. Generally, it gets harder when the string length gets shorter (very high notes). Pinch harmonics are subtler than regular picked notes. To better hear them simply add some distortion to an electric guitar sound. This “excites” the harmonics and makes them more perceptible. Note that this technique can still be used on acoustic and classical guitars. It might require a more powerful stroke to come through. When playing a pinch harmonic, you are creating a node. This node usually happens after the neck and middle pick-up. That is why you get a greater output when using the bridge pickup. Creating a node right over the pickup will generate very little sound. I find that the main benefit of mastering the pinch harmonic technique goes beyond creating a screaming sound. With practice you get a better feeling of how the flesh of your thumb and the palm of your picking hand can touch the strings and add more nuances to your guitar playing. I personally dig the sound that can be achieved by using this technique in a very smooth and subtle way. If you want to know more about harmonics and frequencies check out this great article about string harmonics. Do you use or consider using this technic? If so what do you use it for? 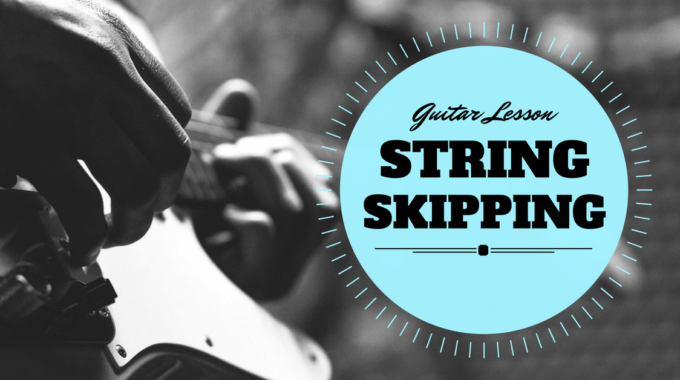 String Skipping: What You Need to Know and How to Add it to Your Own Guitar Playing.